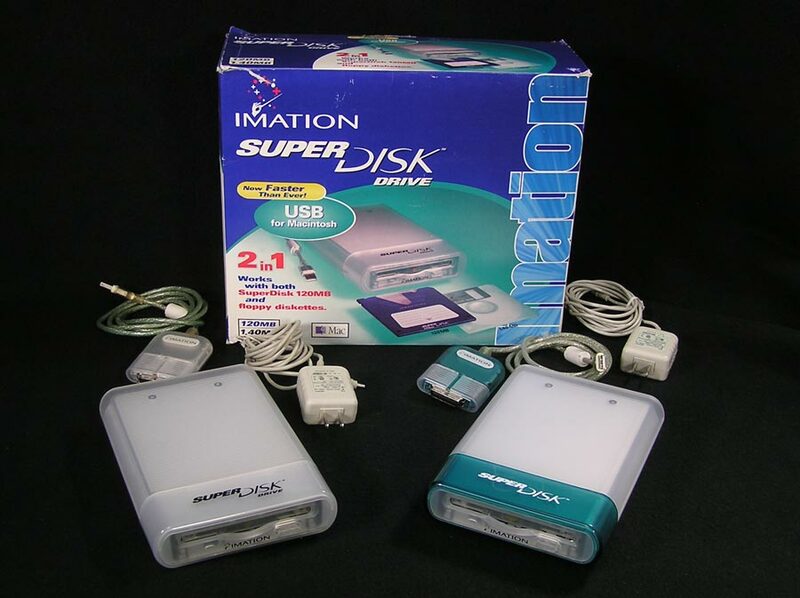 Imation SuperDisk Drive, SD-USB-M(blue) or SD-USB-M2(white). 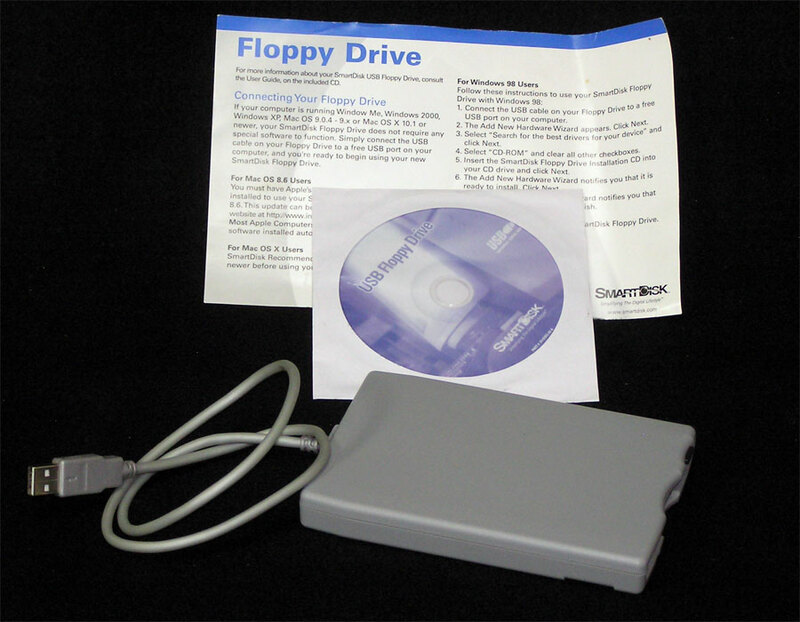 The first USB floppy drive solution PLUS 120 MB hard drive on a disk! 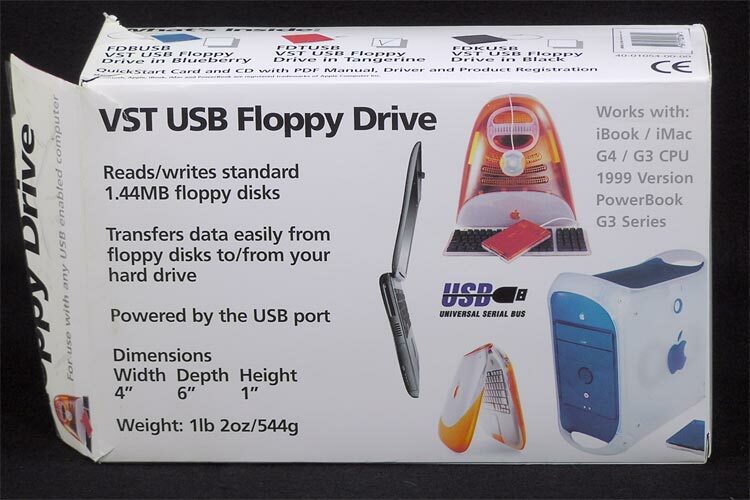 Works with 1.4 MB (2HD) 3.5″ floppy disks and 120 MB SuperDisks. 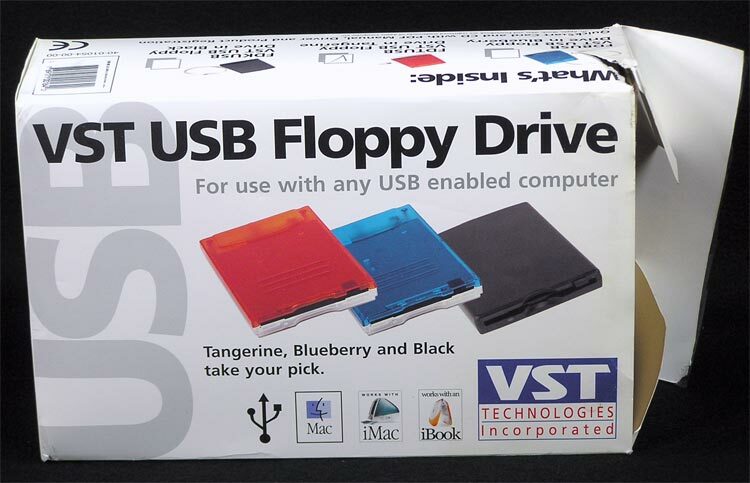 Drivers needed for Mac OS 8.1, but built into OS 8.5 and higher. 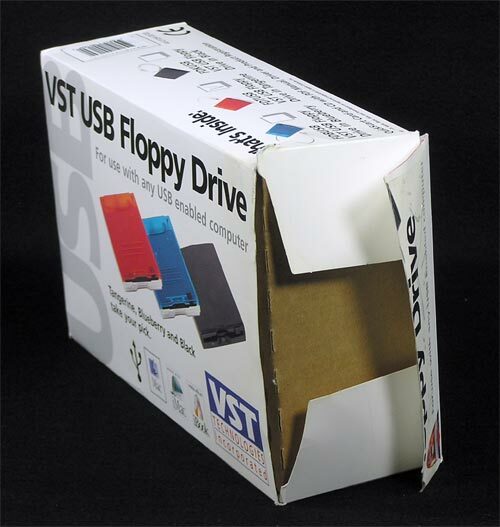 There are several of these in stock, including a new, sealed box (no disk in the box)! 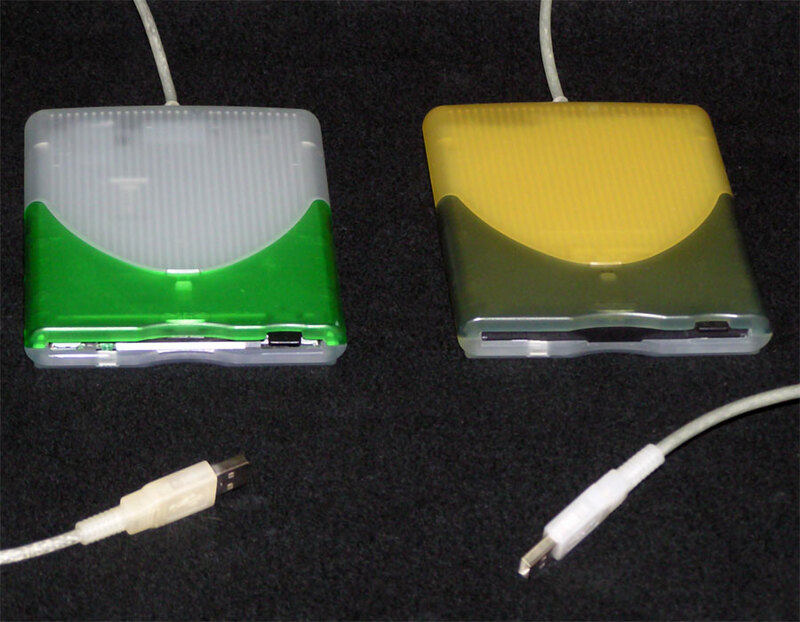 All come with a matching interface (USB) cable and power adapter (no original boxes for them). The Installation Guide (and Drivers) came on a CD. I don’t have enough CD’s for them all so you may not get an original. 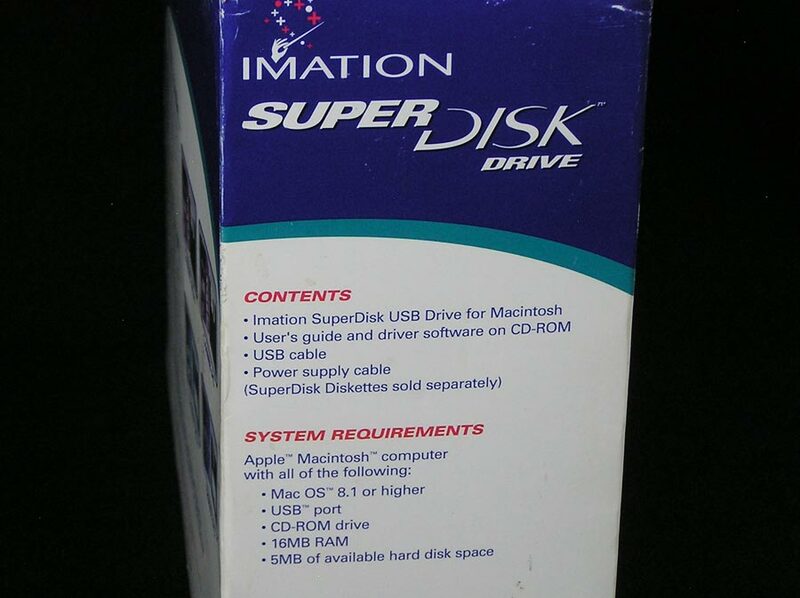 SuperDisks will be sold separately. 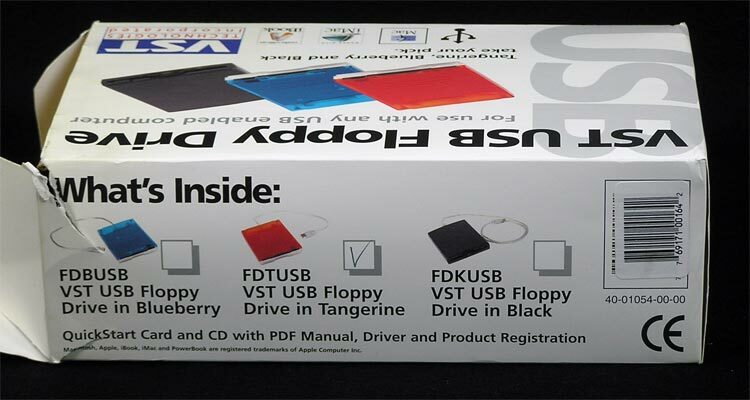 Floppy Disk Drive by SmartDisk. 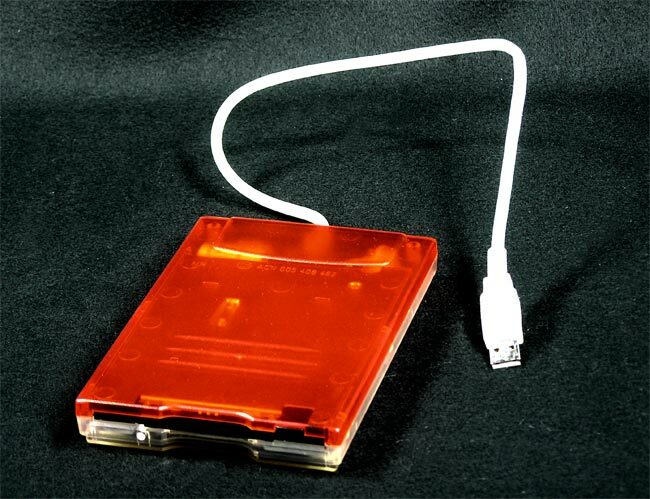 USB interface. 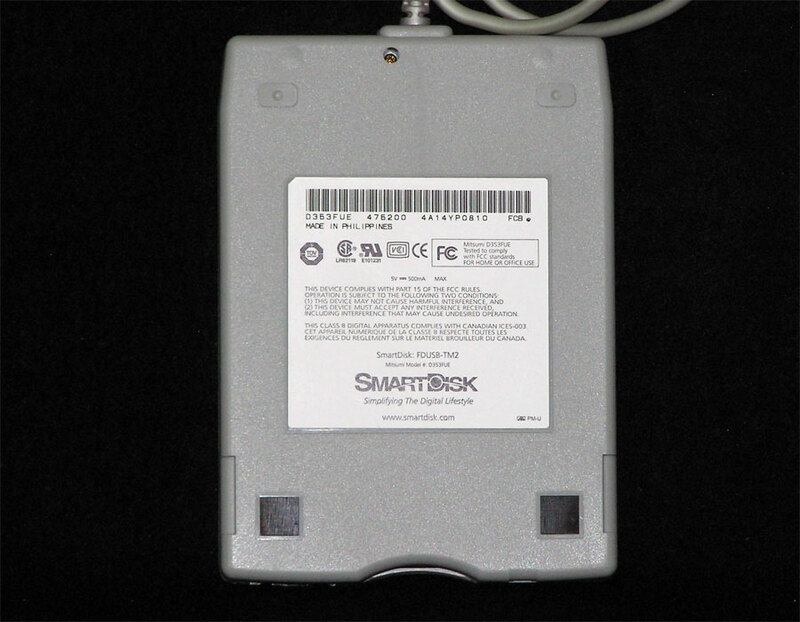 Model FDUSB-TM2. 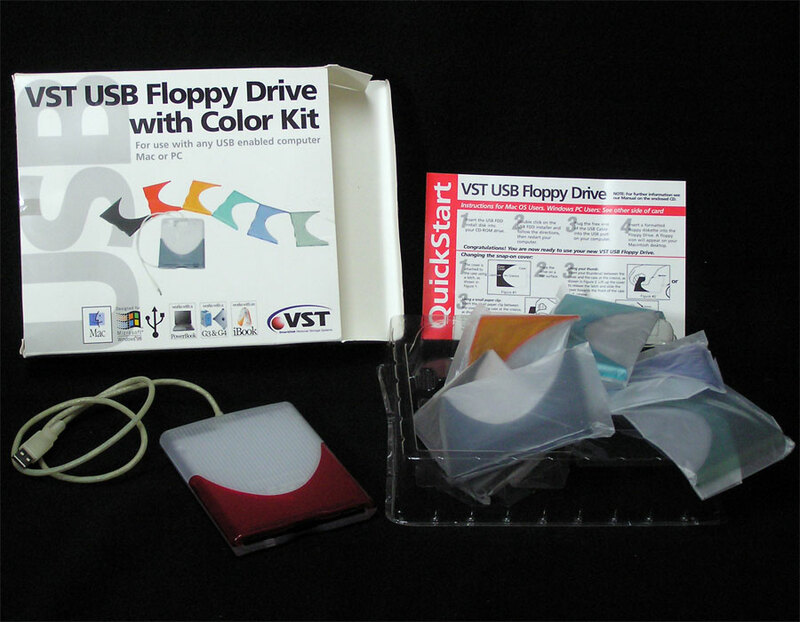 Comes with CD and instructions. 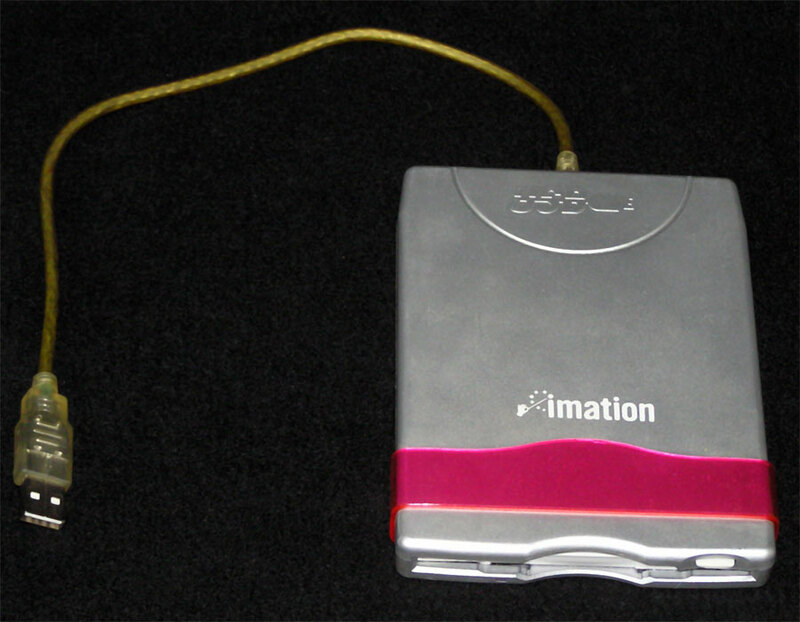 Usable on any computer with USB. 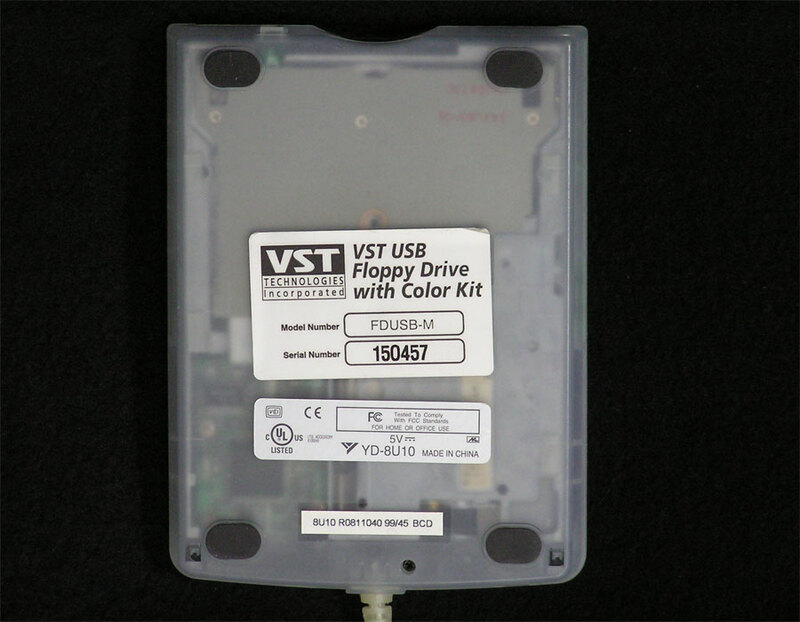 Tangerine colored to match the iBook and iMac of the same color, this floppy drive reads and writes 1.44MB high density 3.5″ floppy disks. 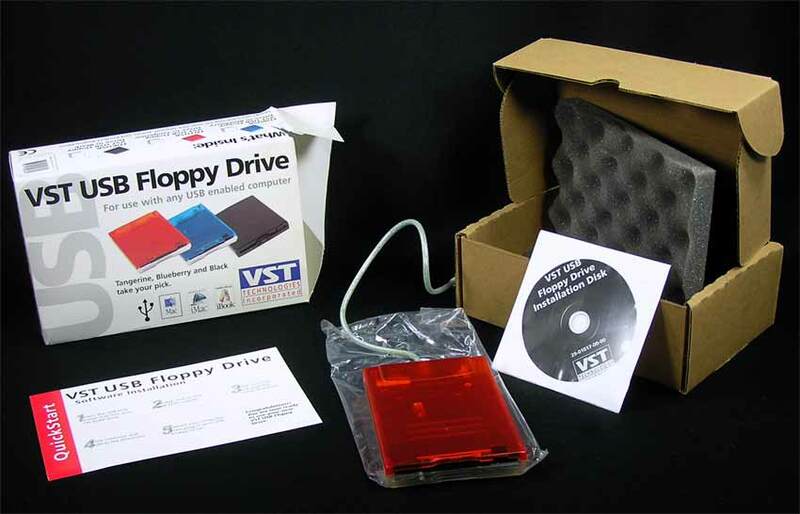 Complete package includes the floppy drive, QuickStart Card, CD and registration card all in the original box. Part of the box flap is missing, so this may have been a customer returns back in the day. 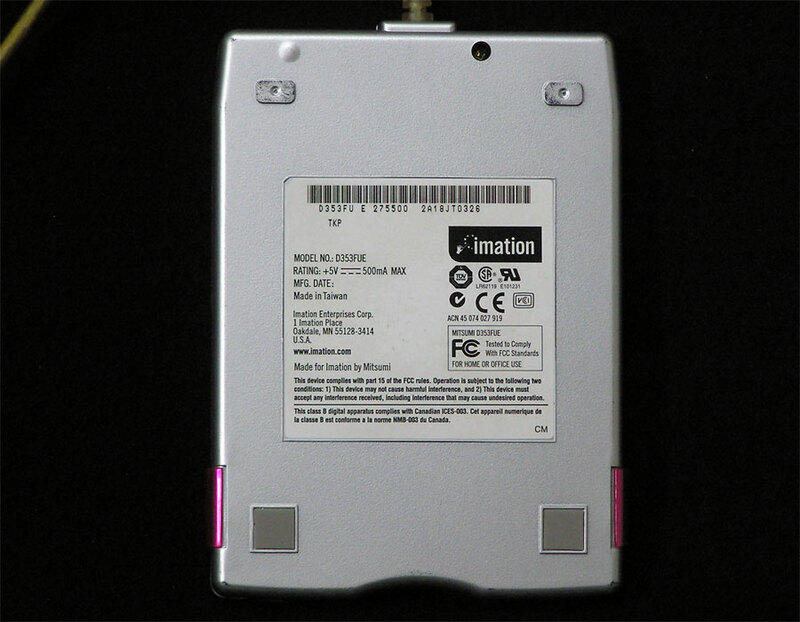 Drive has been tested to read and write on OS 10.4 and truly looks like a brand new drive.